War is never an option and can never be. History provides ample testimony to the futility of war and violence. Wars have triggered permanent conflicts, hostility and distrust among the warring countries, rather than solving issues. The irreparable loss of human lives and property makes war a frightening proposition and should be avoided at all costs. A. India and Pakistan lend credence to this theory. Two countries who were separated by the Britishers have, since then, fought four wars to sort out their issues but despite losing several lives on each side of the border and countless casualties, the issues remain. This clearly proves that war is not an option. Experts opine that military action is rarely enough as it does not address the underlying causes of the war and can, therefore, not lead to sustainable peace. B. I agree. Coming from the land of the apostle of non-violence Mahatma Gandhi, I cannot support violence. The relations between India and Pakistan have been marred by turbulence since the Partition. They have already fought many wars primarily due to the Kashmir issue, in which several soldiers and civilians have lost their lives. The cost of war is too high, especially for a developing country like India. Apart from the human loss, the money that both countries spend in equipping their armies with modern technologies could be better utilized in education, poverty alleviation and other areas that benefit the people of the country. C. Therefore, the only option that remains is dialogue. Dialogue is one of the essential ways to build trust and confidence. If the conflicting parties sit together in an enabling atmosphere and discuss each other’s grievances calmly, the chances of thrashing out a lasting solution becomes brighter. It is not necessary that all issues are settled at once, but the fact that the conflicting parties are willing to embrace the path of peaceful negotiation and shun violence, goes a long way in building trust and eventually leading to solutions. In the case of India and Pakistan, there is a realisation that war cannot be the solution. Therefore, attempts have been made by both sides to sit on the negotiation table and discuss issues, be it at the Shimla Summit, The Agra Summit, the Lahore Summit or the recent unscheduled visit to Lahore by the Indian Prime Minister NarendraModi. D. While I agree that talks should happen and are the best way to resolve conflicts, I think it’s crucial to create an enabling environment for the talks to flourish. All the attempts at starting bilateral discussions have suffered due to cross border terrorism. The 2001 Indian Parliament attack, the Samjhauta Express bombings, the 2008 Mumbai attacks and other acts of cross border terrorism have derailed talks and created a sense of distrust and suspicion between the two countries. For talks to take place, it is imperative that both countries show a strong commitment and sincerity in establishing peace. Only then can the conflicts be resolved. E. I agree. The Indians have time and again extended an olive branch to the other side only to be crushed by the other side. The continuing acts of terror and insurgency have fostered anger among the general public, which is not good for the relations between the two countries. I believe that terror and talks cannot go hand in hand. Pakistan needs to prove that it is serious about tackling terror emanating out of its territory.It can no longer defend itself by claiming to be a victim of terror because the terrorists who attack India are most often than not traced to Pakistan. F. The recent visit by the Indian prime minister, the first since 2004, is a welcome gesture and augurs well for the future. This provides a chance to experts from both sides to begin the next round of discussions. The Indian prime minister is trying to break the sense of formality with Pakistan and engage with the Pakistani prime minister on a personal level. This is an encouraging sign, given that the two countries have a lot in common- culture, language, traditions and so on. By invoking these, there is an attempt to sidestep the rigidity of protocol and expected notions of behaviour. G. Another point to consider is the role of the ‘non-state’ actors in Pakistan. Clearly, there are elements in Pakistan who don’t want peace to prevail, who depend on the conflict between the two countries for their survival. These need to be recognised and suppressed, so that they don’t sabotage the peace process. 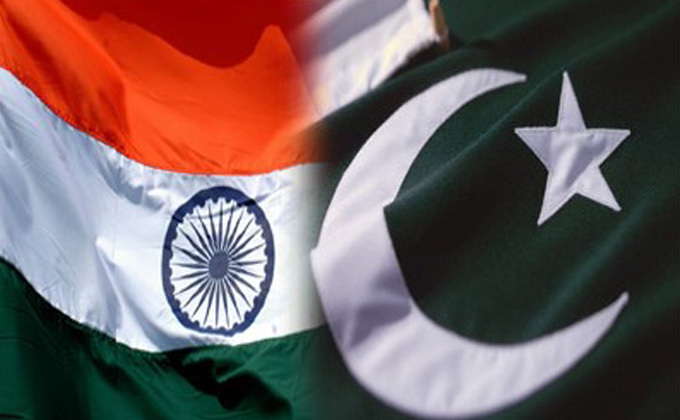 If India and Pakistan can find a way to resolve issues and enable peace in the subcontinent, the next century might well belong to both the countries. Together, they can form a formidable force, given the immense potential of growth and development that these two have. But this can be achieved only through dialogue and therefore the dialogue process should proceed further. Violence will only lead to hatred and hostility whereas talks and negotiations will ensure lasting peace.